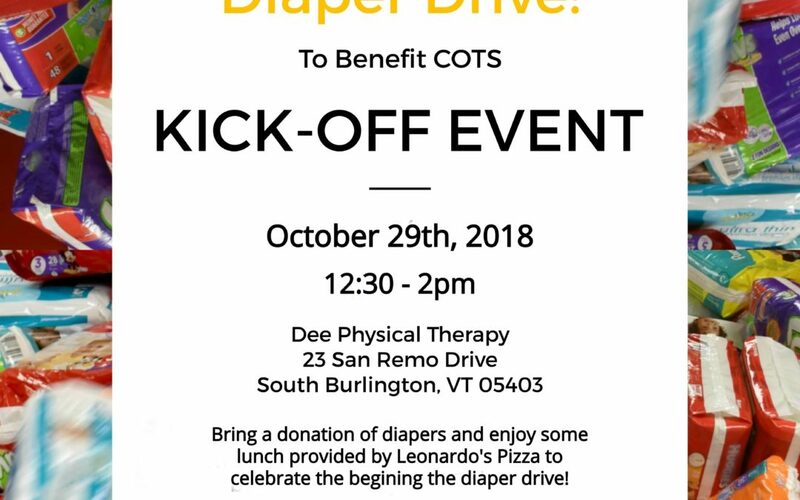 The Dee PT Great Diaper Drive 2018 is coming soon! Dee Physical Therapy has been collecting diapers to donate to the Committee on Temporary Shelter (COTS) for the past ten years. The drive began in 2007 when Jason Fitzgerald, Dee PT Clinical Coordinator, met with the staff at COTS and realized the unmet demand and rising cost of disposable diapers. Throughout the years, we have been able to collect more than 310,000 diapers, allowing struggling parents to put money back in their own pockets with the goal of regaining independent housing. This year our goal is to collect 40,000 diapers! Follow our progress on Facebook at ‘Dee PT Great Diaper Drive 2018’!